Rabbi Mordechai Becher, originally from Australia, is a Senior Lecturer for the Gateways Organization. He was a Senior Lecturer at Yeshivat Ohr Somayach in Jerusalem for 15 years, taught at Neve Yerushalayim College, was a chaplain in the Israel Defence Forces and served in the Armoured Infantry. Rabbi Becher is the co-author of After the Return: A Guide for the Newly Observant (Feldheim Publishers), and one of the developers of the software programs, Where in Israel? And Judaica Wizard. He also answered thousands of question on the Ask-the- Rabbi website. Rabbi Becher received his Rabbinic ordination from the Chief Rabbinate of Israel and the Chief Rabbi of Jerusalem and was a Rabbi in Toronto for four years.ing nature and wise advice. 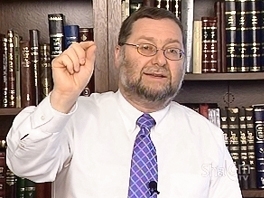 Rabbi Siegel currently serves as a maggid shiur in Yeshivas Tiferet in Yerushalem's Bayit Vegan.